While there are multiple ways to retrieve the execution plan, below is the query I always keep handy as I can run this safely on a live production server with minimal effort. Hope this will be a good addition to your query bank. Recently I came across a situation where queries are loading extremely slow from a table. After careful analysis we found the root cause being, a column with ntext datatype was getting inserted with huge amounts of text content/data. In our case DATALENGTH T-SQL function came real handy to know the actual size of the data in this column. According to books online, DATALENGTH (expression) returns the length of the expression in bytes (or) the number of bytes SQL needed to store the expression which can be of any data type. From my experience this comes very handy to calculate length and size especially for LOB data type columns (varchar, varbinary, text, image, nvarchar, and ntext) as they can store variable length data. So, unlike LEN function which only returns the number of characters, the DATALENGTH function returns the actual bytes needed for the expression. If your column/expression size is too large like in my case, you can replace DATALENGTH(Name) with DATALENGTH(Name)/1024 to convert to KB or with DATALENGTH(Name)/1048576 to get the size in MB. Most people prefer to have “sa” account as the database owner, primary reason being sa login cannot be removed/deleted unlike any user account or service account and so the databases will never end-up in an orphaned stage. I came-up with the below method to change the ownership to sa on all the 40 databases in our environment recently. Most of us know the default port for SQL Server is 1433, but there are various ports being used by SQL Server for other database services and SQL features. In this post I have put down two scripts that you can customize per your organizational standards. The first script helps you to identify the current settings and the second one can be used to update auto-growth settings. Both the scripts are targeted for all the databases by default, however you can call out the databases that you want to exclude from this change. Please make sure that you test these changes before pushing out to production servers. In order to reduce Tempdb contention one of the best practices is to maintain multiple sized Tempdb data files, matching the number of processors and up to a maximum of 8. In this post I will show you T-SQL script to identify current Tempdb configuration and number of logical processors along with adding additional Tempdb data files as required. Reboot/Restart of SQL services is not required for making the tempdb changes. Here is a great post that explains how to best remove extra Tempdb files. The easiest way (if not the fastest) is to load up the Failover Cluster Manager and go to each Failover Clustered instance to look for the virtual SQL names. You can also easily see which FCIs are running on a particular node by selecting a node and viewing what resources it currently owns as shown in the below snippets. This is the same for Windows 2003/ 2008+ and SQL 2005/ 2008. While the above method is pretty easy, its not practical to log into each server to load up FCM when you have tens of hundreds of servers. For this you can use this simple PowerShell script that can be run remotely and can be fed with as many servers as you want to. This will output the SQL virtual names including those with named instances. Please note that the PowerShell cmdlets used here require admin rights on all of the nodes in the cluster or a security exception will be thrown. Here is the session I gave for the techies at Microsoft about in-built tools available in SQL Server to analyze a query performance. This is a bit lengthy, but covers ALL out of the box tools in SQL Server to get query metrics. Below is a post from Suresh, which describes how dtutil works for importing and exporting one package at a time. 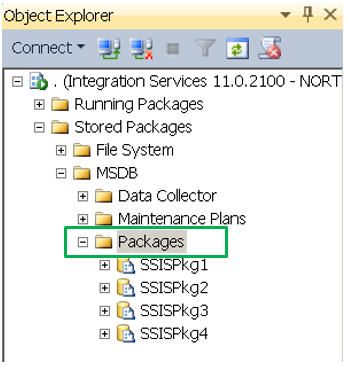 In this article we will see deploying multiple SSIS packages. Demo for deploying multiple packages. 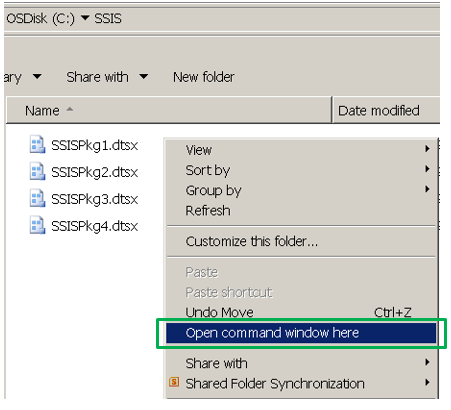 Tip: Hold ‘Shift’ and right click to open command prompt window at the desired location. 2. Execute the dtutil script from cmd. Note to make the below changed before you run the above script. 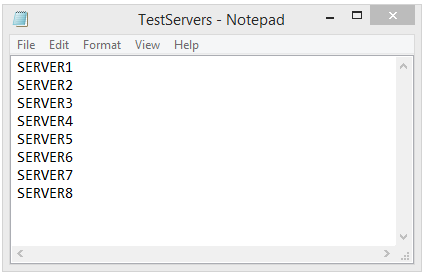 Change the server name at the end of the code to reflect the destination server. We can choose ‘localhost’ if running this within the server as shown in the below figure. As seen in the above figure all our packages are imported into the server. For more dtutil Utility options please see the MSDN article HERE. 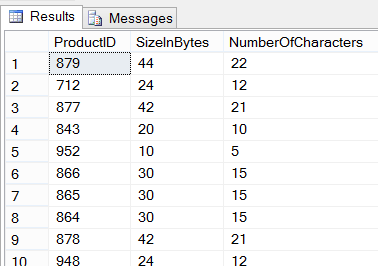 Before we get started on this topic, here is a quick fact..in SQL Server 2000, there used to be hard limit on the data that can be stored in a single row, which is 8,060 bytes. So, if the data exceeds this limit, the update or insert operation would fail! Fortunately, in later SQL Server versions, rows are dynamically managed to exceed this limit and the combined width of the row can now exceed the 8,060 byte limit. I wanted to refresh this in our memory as this will help us to better understand the allocation units concept. 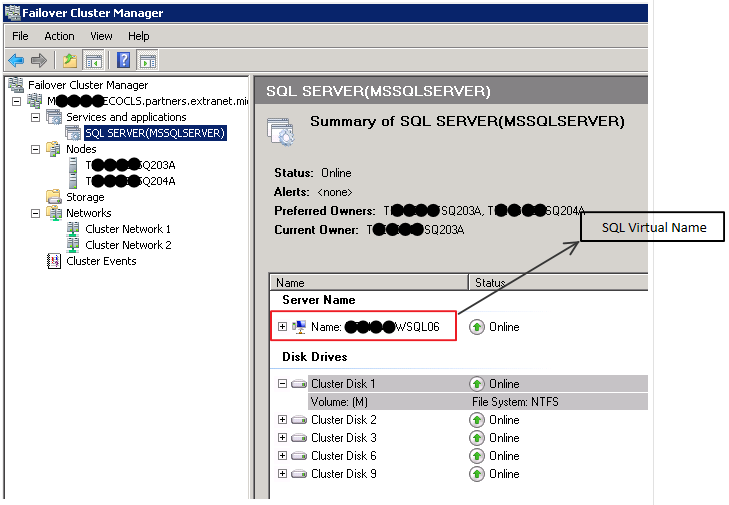 Every partition in a SQL Server table can contain 3 types of data, each stored on its own set of pages. And each of these types of pages is called an Allocation Unit. Below are the 3 types of Allocation Units. So, an Allocation Unit is basically just a set of particular type of pages. Now, let us try to understand each of these allocation units using a demo. 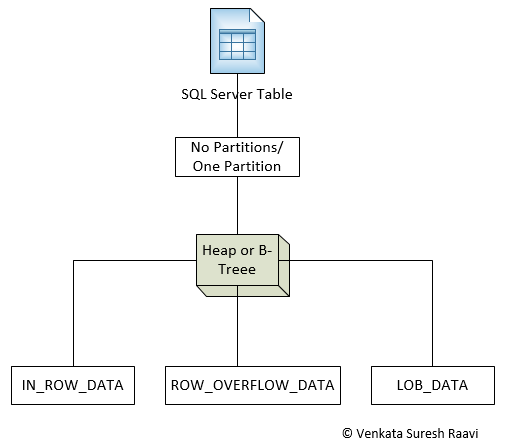 When the row size stays within the 8,060-byte limit, SQL Server stores all of the data in the IN_ROW_DATA allocation unit and usually this unit holds the majority of data in most of the applications. Remember the introduction? so, when the row exceeds the 8,060-byte limit, SQL Server then moves one or more of the variable-length columns to pages in the ROW_OVERFLOW_DATA allocation unit. How many Allocation Units can a Table have? It actually depends on the number of partitions and indexes on the table. To simplify the concept, as shown in the below picture, assume there is one table having no indexes (HEAP) and no partitions. Having no partitions mean, all of the table’s contents are stored in a single partition, meaning every table has at-least 1 partition. Based on the above, we can have upto 3 allocation units for a table with no partitions and no indexes. And how about if we have partitions and Indexes? Below is the formula I came up with to get the maximum possible number of allocation units per table. So, as we see from the figures above, a table can have up to 45 million allocation units in SQL Server 2012!